A Split Shank that Divides and Then Swoops Back Together! So Many Design Elements that Come Together in this Ring to Make it Truly Unique. 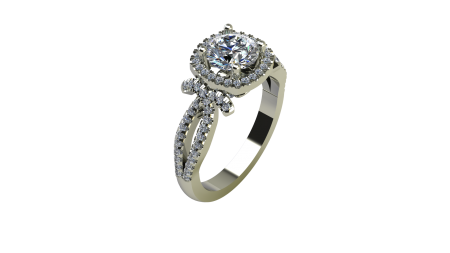 From the Filigree Design to the Diamonds Under the Halo, a One of a Kind Creation!